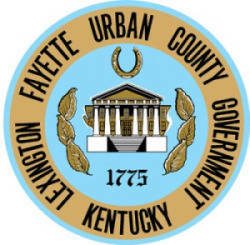 As a roofing contractor in Lexington, KY we service surrounding Fayette County residents with professionalism and a dedication to quality workmanship. New Roofs As Low As $99/mo! 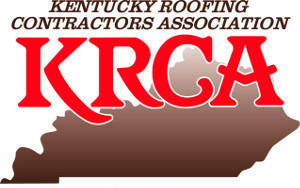 Discover why we are one of the best rated roofing companies in Lexington & central Kentucky. I was very impressed with the level of service I received from Lexington Blue. They replaced my roof and the entire process was pleasant. Good communication, professional representation and quality service. 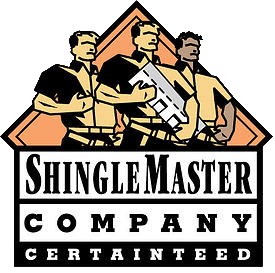 I highly recommend them if you need any type of roofing service. 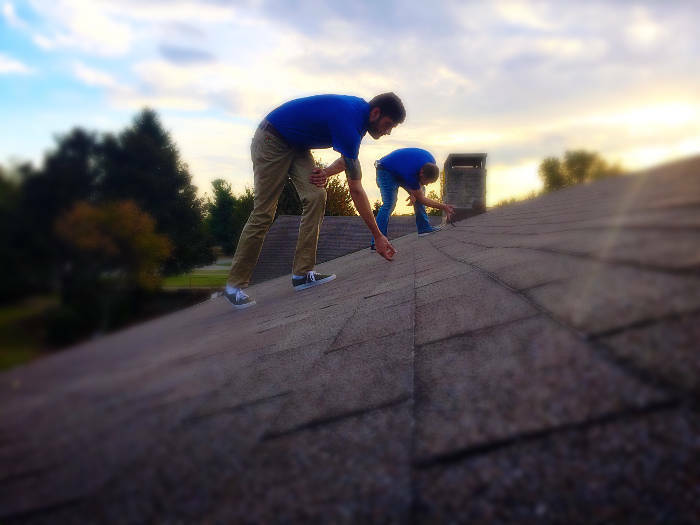 Learn why over 2,200 homeowners in the Bluegrass have trusted us with their roof repair and installations. Our entire staff is committed to your satisfaction. 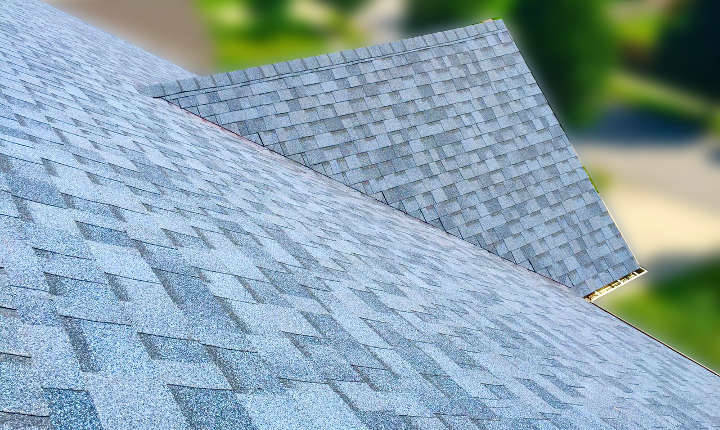 From the initial inspection of your roof to the final shingle being installed, we promise to provide our roofing services with an unrivaled experience that you and your home deserve. Hello central Kentucky! My name is Crystal Jarvis and I’m absolutely thrilled to be a part of the Lexington Blue family. I have filled nearly every role imaginable within the office environment of the contracting world. 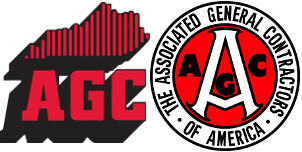 From front desk, roofing inspector to project manager and even training program coordinator. I also bring nearly 20 years of experience in customer service and office management to our already multi talented and highly dedicated team. This leads us to a streamlined process and an amazing 5 star experience for you, the homeowner. 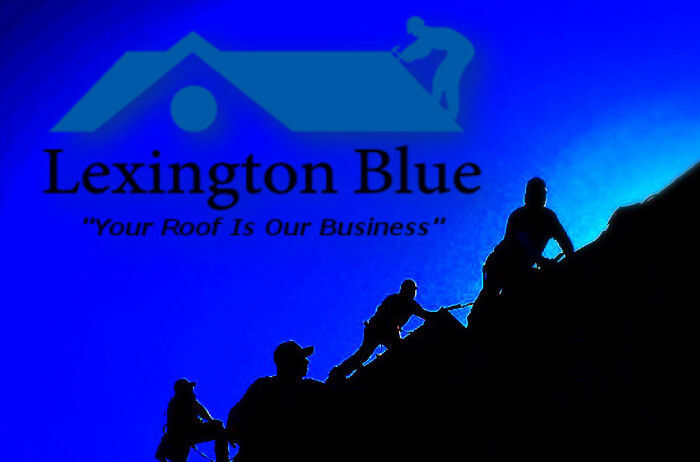 My personal mission is to help drive our team to ensure that Lexington Blue becomes your only source for residential contracting in the central Kentucky region. 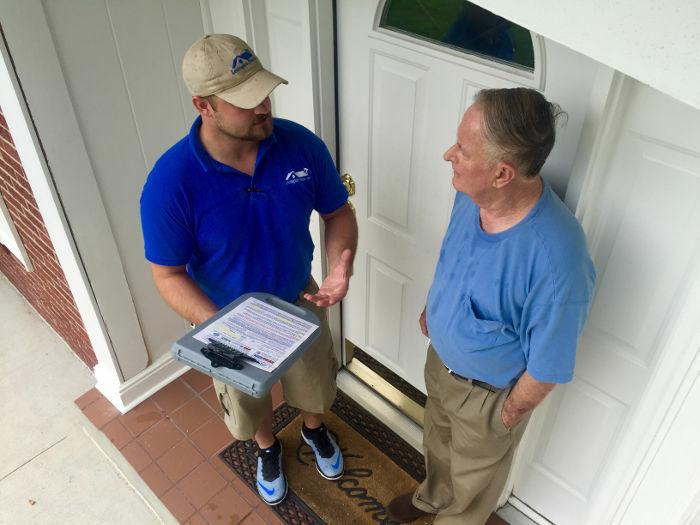 Thank you for choosing Lexington Blue! Hi there! My name is Jonathan Crowe. I am the general manager here at Lexington Blue. Firstly, I would like to say thank you for choosing Lexington Blue for all of your roofing and home improvement needs. 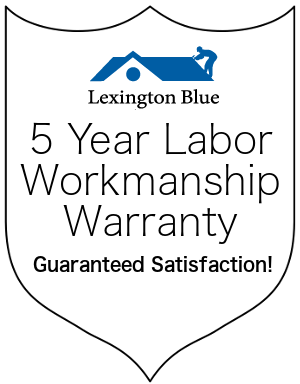 The team here at Lexington Blue is committed to one thing, and that is ensuring that you, the homeowner, receive the 5 star experience that you so well deserve. From the very first meeting with one of our highly trained inspectors, all the way to the final walk through of the completion of your project, it is my personal mission to ensure that you feel as if we’ve treated your project with the same amount of care and attention to detail as if it was my home. Again, thank you for choosing Lexington Blue and I’m looking very forward to working with you. Hi, my name is Lorie Powell and I’m the office administrator here at Lexington Blue. I’m the first voice you hear when you call into our office and the first face you see when you walk through our door. I am committed to providing you with the very best customer service. From your first contact with our office all the way through to the end of your project, I’m here to answer your questions, address your concerns and help you in any way that I can. My mission is to make your Lexington Blue customer experience the very best customer experience you’ll ever have. Thank you so much for choosing Lexington Blue and I look forward to working with you! What’s up Kentucky! 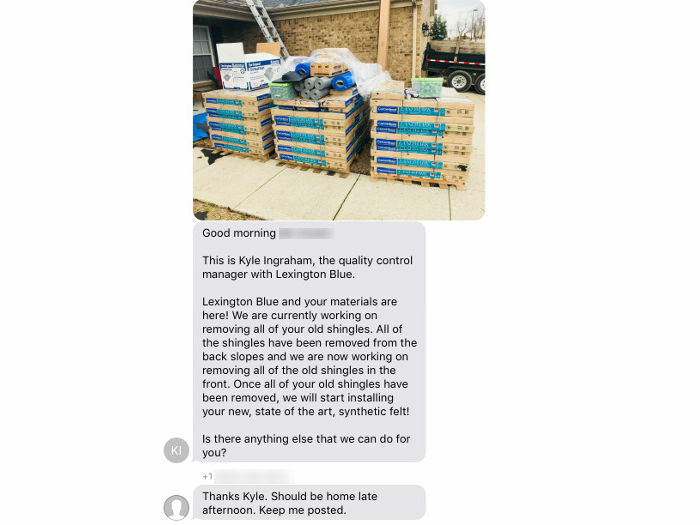 My name is Kyle Ingraham, the quality control manager with Lexington Blue. I keep the most contact with you providing photographic updates throughout the roofing process, making sure that you receive the 5 star experience you expect and deserve when using our repair and replacement services. I’m the first team member to hit the job site in the morning to protect your valuable property with our protective measures and distinctive blue tarps. I supervise our crews to ensure that you get the extra mile service we promise. Consider me your go to guy when it comes to addressing questions and concerns throughout your highly valued project. I would like to personally thank all of our past, present and future clients, including you for providing us the opportunity to feed our families through rendered service in our community. Thanks again Kentucky, over and out! Hey central Kentucky! I’m Michael Moore, your production manager at Lexington Blue. Thank you for giving us the opportunity to help you with the process of completing your home’s current construction updates and restoration needs. As your overall project coordinator here, it is my mission to provide you with the level of service that is not easily found in our community anymore. You can always count on me to ensure that our timelines our hit and our staff goes the extra mile to properly complete what we start. Once again, thank you for choosing us! From the initial consultation to the final product, we’ll guide you through our process with a thorough understanding. Each project we take on has its own unique set of parameters. While we’re experienced in adapting to all of them, you may have questions about how we’ll handle your home’s roofing system. Here’s the process you can expect from our entire team. Our process will begin with a free consultation. 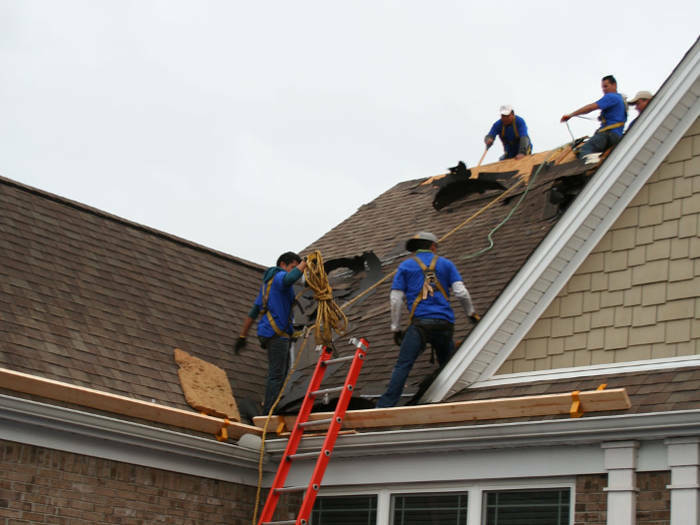 Whether you need a minor roof repair or you’re interested in a full roof replacement, we’ll take the time to address your needs and provide direction for your best solution. You’ll gain a full understanding on all of your options including cost of repairs and the types of shingles or metal for your roof. Next, we will perform a free roof inspection. This allows us to determine the condition of your roof and its components. If we identify any signs of storm related damage, such as hail impacts or wind damage, we will assist you with your insurance claim. 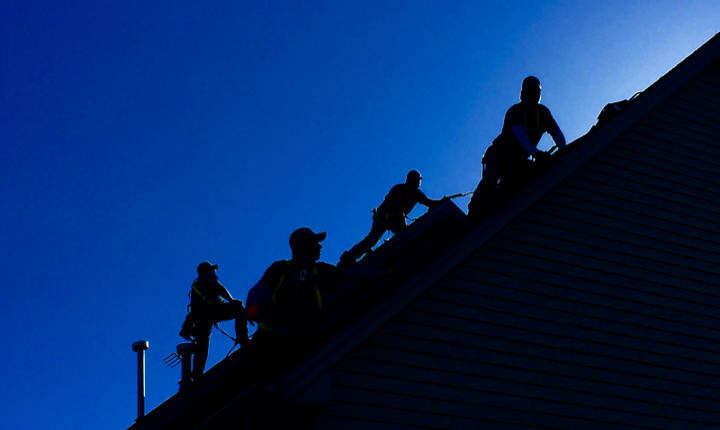 This may entitle you to a complete roof replacement for only the cost of your deductible. Upon determining your roofing requirements, we’ll assist you in selecting the best types of roofing applications for your home. 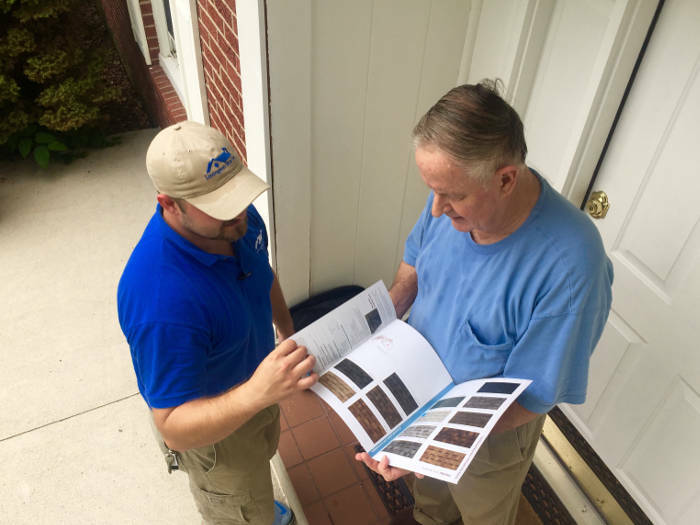 Our entire team is educated on the latest industry brands, materials and products that provide the best coverage and protection for your home. You’ll have a variety of selections and choices because we represent the best roofing manufacturers on the market. While the process of our communication starts and stays steady from the very beginning, you can expect an increase prior to and during your project. You’ll have peace of mind knowing that our entire team places emphasis on keeping you updated. This includes communication from Lorie, our office administrator, Mike, our project manager and Kyle, our onsite quality control manager. When it comes time to repair or replace your roof, you can rest assured that our focus is on performing a quality installation. 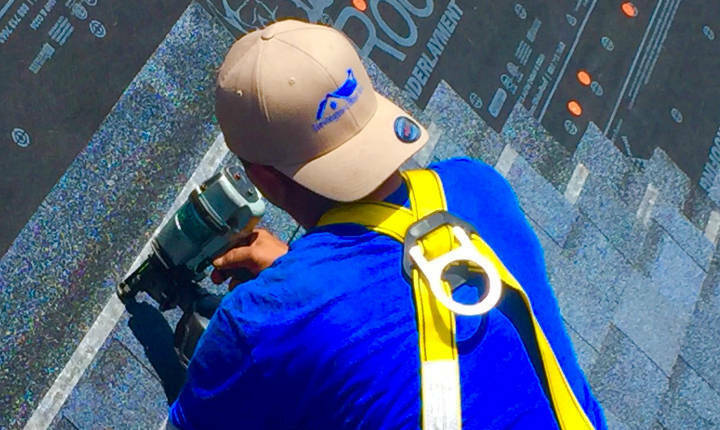 Our roofing crew takes pride in treating every aspect of your installation with attention to detail and quality assurance. 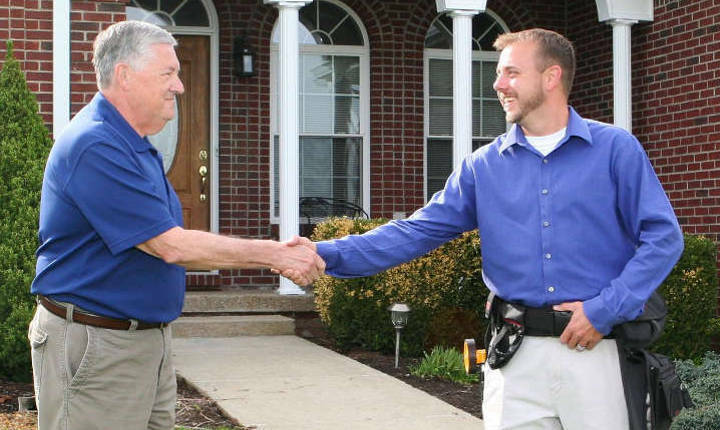 Beyond the craftsmanship, you can also expect our crew to be courteous and respectful of your home and property. To ensure you have the best experience with our company, we employ onsite quality control managers. They’ll keep you informed with real time updates on the progress of your roofing project. This includes information and photo documentation we provide via a phone call or text message. This is just one extra step we take to show we care about the success of your project. Trying to decide which roofing manufacturers or roofing companies in Lexington, KY offer the best warranties? Well, we’ve got you covered! 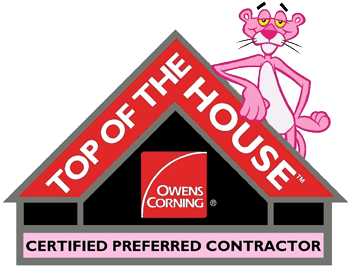 As an Owens Corning Preferred Contractor and a CertainTeed ShingleMaster Company, we can offer the best from both. Plus, we also offer our own personally backed labor warranty that provides you with even more protection. Any roofing company can provide a warranty. 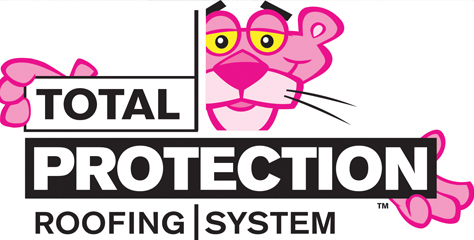 However, our certified status with Owens Corning allows us to provide you with additional benefits that compliment and enhance your warranty coverage. 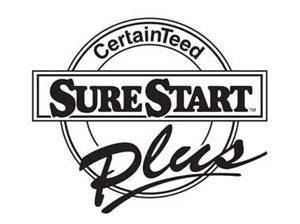 Our CertainTeed credentials allow us to provide CertainTeed’s Sure Start extended warranty. This gives you additional coverage for your roofing warranty. As a homeowner, we realize that you only want the best for your home. This includes hiring a contractor that you can trust and one that will operate with the utmost integrity and professionalism. When you hire us you get professional workmanship, attention to detail and satisfaction knowing your project was completed by our experienced and respectful crew. Our focus is on providing our clients with a quality service. To accomplish this, we maintain proper certifications, stay involved in continued education courses and abide by local governing laws and regulations. We also understand that hiring a roofing contractor is an important decision. While we can say whatever we want about our commitment to your satisfaction, we encourage you to view what others have to say about us. 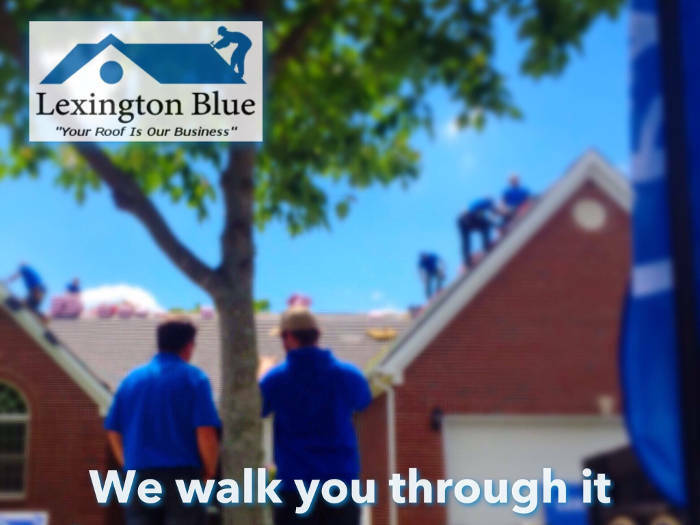 Whether you need one shingle repaired, a roof leak patched or a new roof installation, consider Lexington Blue for all of your roofing needs.